When your roof begins leaking it is important to get it fixed as soon as possible. 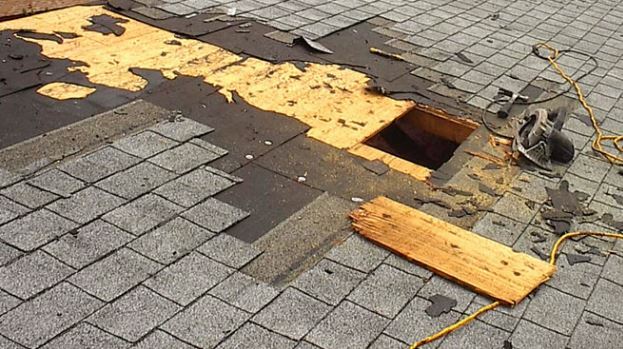 Our Roof repair Vienna services can get you patched up in a flash! Small leaks in your roof can be easy to dismiss but over time can become huge problems. Even if you have one small leak it can cause extensive structural damages and even flooding if there is enough water coming in during a storm. The bottom line is, the longer you wait to fix your roof leaks the more issues and expenses you are going to have to deal with. Fortunately, Beckworth LLC can take care of any Virginia residential roof repairs or replacement for you. When a leaky roof is repaired properly you not only protect yourself from more damages in the future but also protect your current investments and home as well. We understand how critical it is to act immediately and address the problems associated with a roof that needs to be repaired. We provide professional roof repair Vienna services throughout Virginia. Our team of experienced roofers can service different roof types, ranging from metal, tile, and asphalt, as well as flat roofs and those made of slate and wood shake. We also use a wide variety of high-quality roofing materials that can match the look of your existing roof, so you don’t have to worry about it looking obviously retouched once we’re done filling in the leaks. We offer a wide variety of roofing materials and services to match the look of your existing roof and to prevent future leaks from occurring. What Types of Roofing Do We Repair? Once you have determined you have a leak in your roof, or if you suspect one and would like us to come take a look then just give us a call for a free in-home estimate or message us here for a free quote.